Who doesn't love butterflies? Take inspiration from the beautiful creatures and use it to create this colorful block. It's the perfect project for using up your scraps! 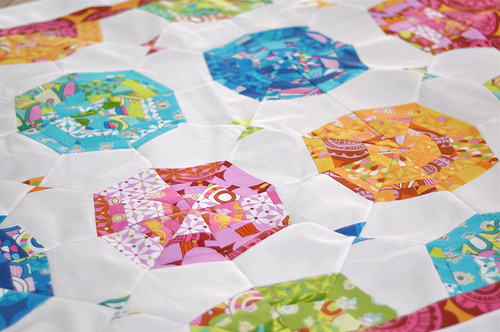 "My quilt is only made up of nine of these blocks and it is a great way to use up skinny little scraps. I even sewed some REALLY skinny strips together to make some of the strips. I used Summersault by Erin McMorris, but I think this would look awesome with a scrappier theme!"